We had an amazing turnout and tremendous support for the 2017 Fall Festival. Thanks so much to ALL of the volunteers who made the event possible and all of the students, families, friends and facaulty that came out to support Rosewood. Thank you For Joining Us...! We had an amazing turnout for this year's Back to School Taco Dinner. Thanks so much for your support and participation. If you missed us this time, please be sure to save the date for the upcoming Movie Night on Friday, October 13th from 6 - 8:30 PM in the Auditorium. for donating ALL of the funds collected to FoR! We hope that everyone had a great first 2 weeks! We'll see you next Friday at the morning assembly. It was amazing getting to meet all of the new families over the last two weeks and we invite you to join us for coffee following the morning assembly next Friday, September 2nd. Questions? Please contact us at here. THANK YOU SO MUCH TO THE FRIENDS OF ROSEWOOD BOARD FOR THE COFFE IN THE MORNING! Have a great weekend and go HUSKIES! Thanks to EVEYONE that came out to Restaurant Night at BLAZE PIZZA! Thanks so much to everyone who came out to BLAZE PIZZA for the FoR fundraiser! 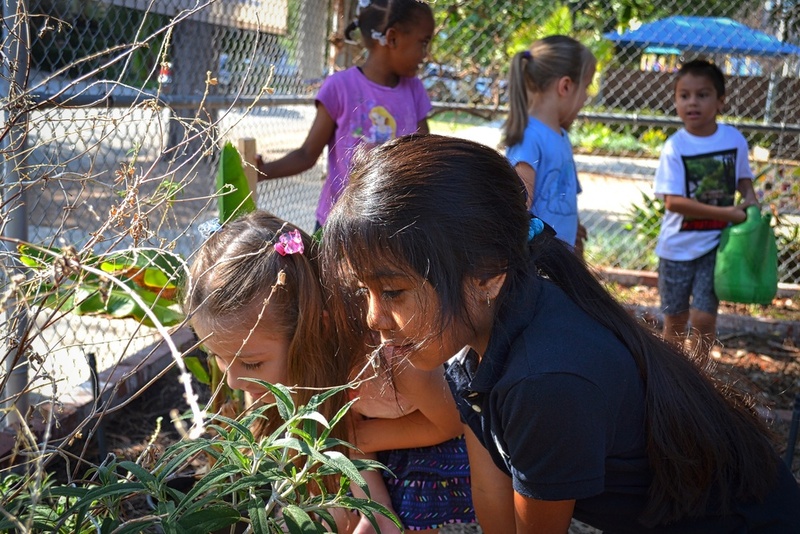 Last Wednesday, Rosewood’s 1st graders were treated to a special science class in the school garden. 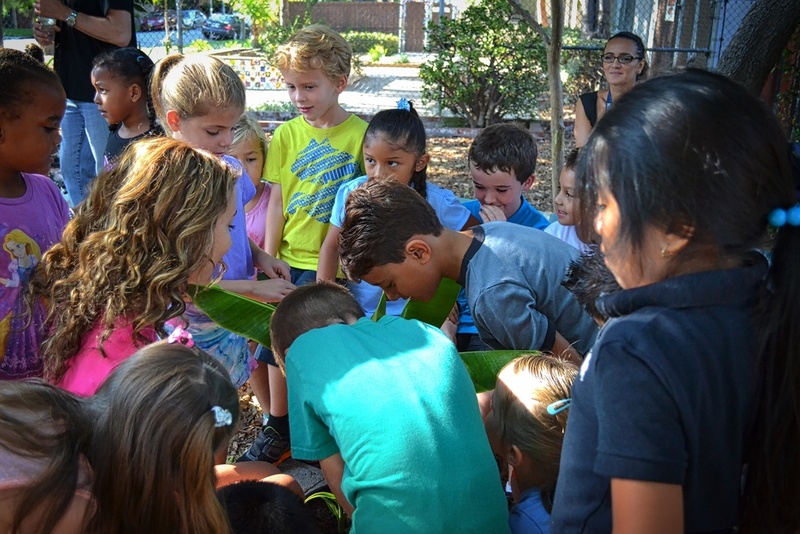 Daniella York brought several banana plants, including two small off-shoots called “pups”, to the garden and taught the children how banana plants grow, produce fruit and produce the next generation of plants. 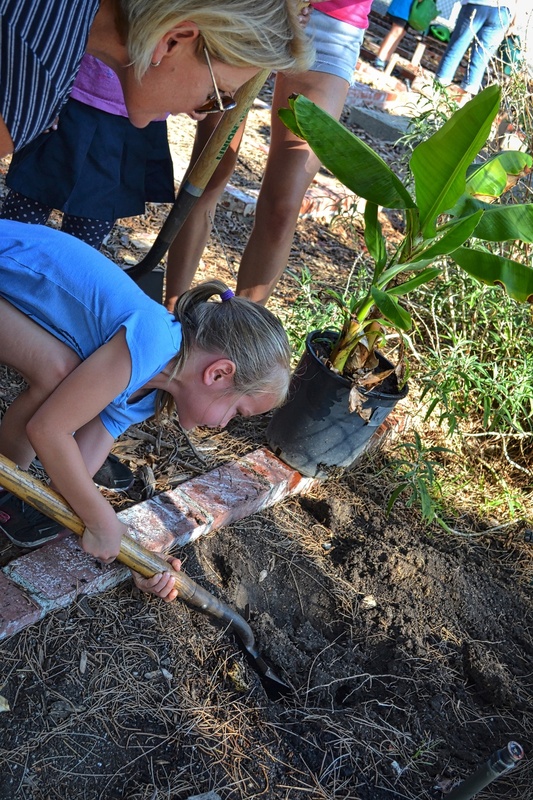 Each of the classes planted their own banana plants in the garden, along the front fence, which will allow everyone at the school to watch their growth throughout the school year. We expect the plants to bear fruit in roughly one year. Special thanks to the parents who volunteered and helped out in the garden for our special science classes. Stay tuned for more garden news and information on upcoming events. If you would like to volunteer for the Rosewood Green Team, please contact Ellia Thompson, Green Team Captain. We need your help in enrolling 4 primary students (TK, K, 1st or 2nd grades) by Thursday, September 17th. The number of teachers allocated at a school site is based on numbers. We are in need of 4 primary students to ensure we do not lose a teacher and have to reorganized our wonderful classes. Please refer families to the main office for enrollment of message us on the connect page with the referral. We're having a pizza party to help raise money for Friends Of Rosewood, so bring your friends and family and meet us at Blaze Pizza. While we're there, Blaze will donate 20% of the menu price of any food purchase we make to support our group. Don't forget the date, the flyer and bring your appetite, we'll bring the fun! The Green Team is Back! Thanks so much to Ellia Thompson for coordinating the Rosewood Green Team for the 2015 - 2016 school year. We need your help! Please volunteer today! Today's cleanup marks a great kickoff for what is going to be the best year yet! The Green Team will meet every Wednesday from 8:30 - 9:30 am and we need volunteers. Please contact ethompson@sklarkirsh.com directly to volunteer and get involved. For those new to Rosewood Ave Elementary, Ellia was responsible for securing the necessary funds and grants to completely make over the new kinder yard! 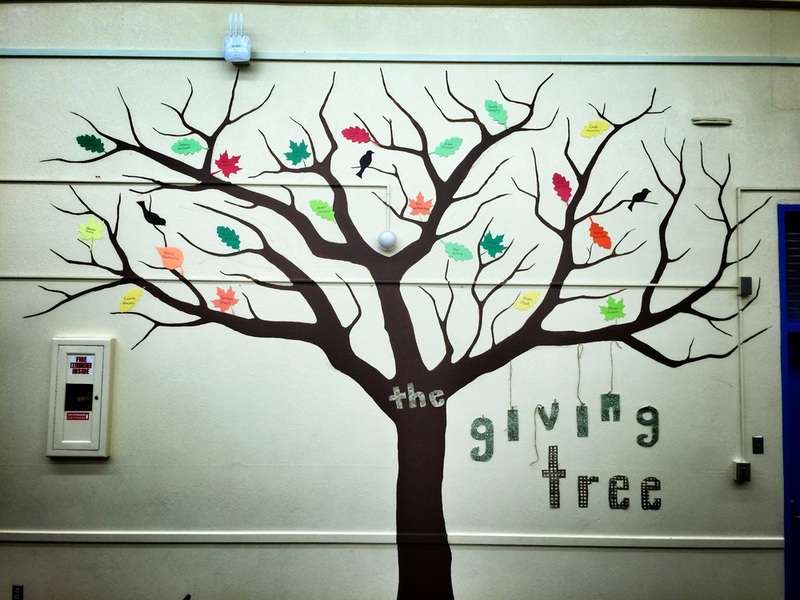 The Giving Tree is starting to bloom...! to all of the families that have paid their School Support Fee prior to the September 4th deadline. Please be sure to make your donation to ensure critical classroom aid hours are preserved as well as the continuance of the Got Game program and Coach Andy.